Howard County is home to unique shops and businesses of all kinds. From antique and thrift stores to brand name establishments at the Mall in Columbia, there are vendors to match any person’s taste. This past year, Taylor’s Antique Mall of Old Ellicott City closed its doors. The store’s owner of the Mall, Marvin Sachs, died in 2012. After two years of getting financial affairs in order, his family decided to sell the building to Donald R. Reuwer, a real estate developer. 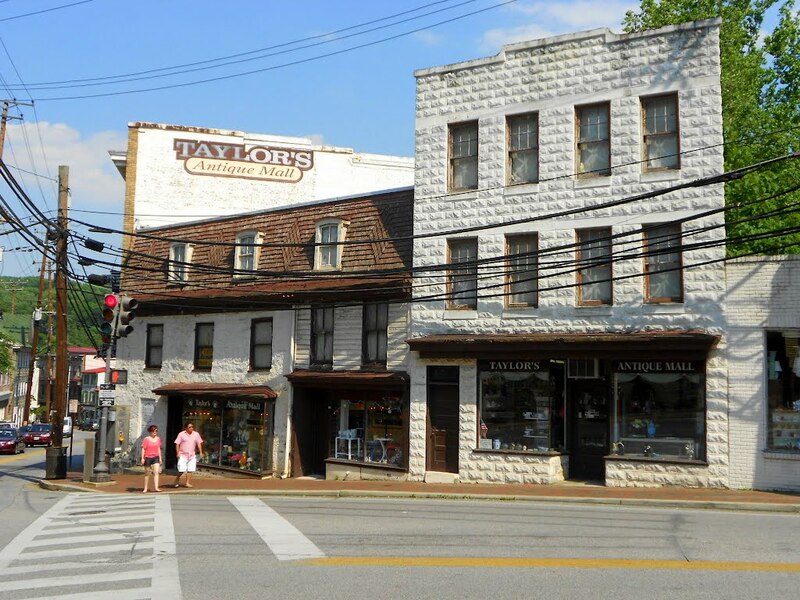 This building on Main Street in Old Ellicott, which used to house Taylor’s Antique Mall, will be home to a new pizza joint later this year (Photo courtesy of panoramio.com). It has been decided that there will be some type of restaurant on the lower level of the building. “We are working with Joe 2 Pizza for the main retail level. It should open in about 8 months,” said Reuwer. Besides cuisine, Old Ellicott City offers a variety of other shops, including bookstores. Located at 8132 Main Street, Greenrow Books offers a wide selection of novels and many different book clubs for all ages to join. Beth Panageotou, the owner of Greenrow, started out as a high school social studies teacher but always had a passion for reading and books of all kinds. According to the Baltimore Sun, Panageotou saw the “For Lease” sign while walking down Ellicott City and decided to call the number that was listed. Panageotou signed the lease for the building in June and had her bookstore up and running in October. Right across the street from Greenrow Books is Simply Divine, a store that has also recently opened. Formerly Subway, Simply Divine offers many different styles of clothes, jewelry and other accessories. The store also hosts many special events, from bridal fairs to food tastings. All of the events are welcome to every Ellicott City resident. Close to Ellicott City, Waverly Nails and Spa has opened on 2020 Marriottsville Road. Reviews on Yelp suggest that the salon has a very relaxing atmosphere and great cosmetic services. The full service salon offers a 10 percent discount to all Mt. Hebron staff and students who show their school IDs. In the Columbia area, the Mall in Columbia is opening its doors to more than a few new stores. Both coming to the upper level Nordstrom wing, Books-A-Million and ECCO Shoes are set to open. On the upper level near JCPenney, Swarovski and Kids Foot Locker are opening, and on the lower level by Sears, Charlotte Russe is also opening. All of these new stores are set to open in late winter of 2015. All of the new businesses around town will definitely bring plenty of job opportunities for teenagers. There will also be plenty of shopping to do now and throughout the summer.